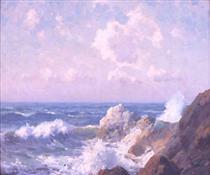 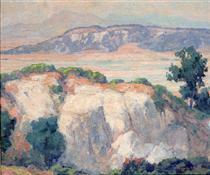 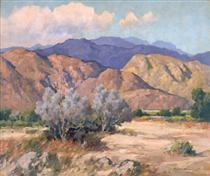 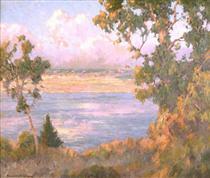 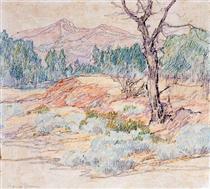 Maurice Braun (1877–1941) was an American artist who became known for Impressionist landscapes of southern California. 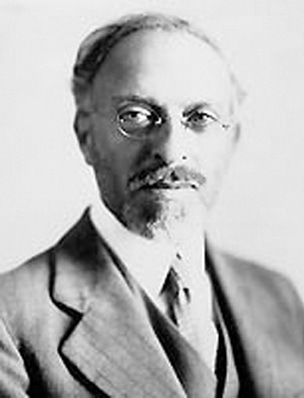 He was born in Hungary on October 1, 1877, however by the age of four young Maurice and the Braun family had migrated to the United States and settled in New York City. 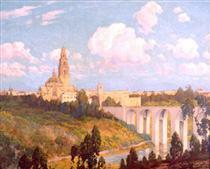 His professional studies took him to the National Academy of Fine Arts where he studied the French tradition under Francis C. Jones, George W. Maynard and Edgar M. Ward. 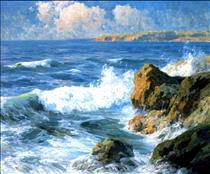 In 1901 Braun trained under the American painter William Merritt Chase (1849–1916). 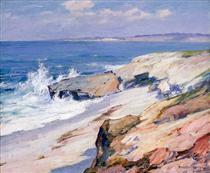 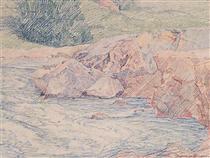 He established himself as a figure and portrait painter in New York City, but in 1909 he left for California. 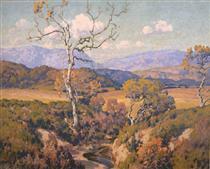 Maurice Braun died in San Diego, California on November 7, 1941. 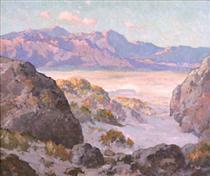 Desert and Mountains Maurice Braun ?